"He married Leola M. Spangler, September 1, 1909 at Ashley, Indiana. She was born November 12, 1885. For a few years after they were married he was a fireman on the Wabash Railroad in Detroit, Michigan. Then they moved on a farm near Hudson, Indiana, where they still reside. (See 800 years of Spangler's by Belmont Farley)"
this was in the 1950 Leas Genealogy. Steuben County Book - Co. 1882, page 71 (dated 1890) shows that Warren Earl Leas was a "white" child who was born on December 17, 1883 in Salem Township, Steuben County, Indiana. The 1910 U.S. Census shows Warren E. Lees, his wife Lulu S. Lees and son, Lawrence E. Lees living in Wayne County, Michigan (Detroit). Warren was 26 years old, Lulu was 24 years old and Lawrence was 5 months old. They were not listed in the 1920 Wayne County Census. The 1920 U.S. Census shows Warren E. and Leola M. living in Steuben County, IN. Marriage ceremony performed by G.W. Keisling. Warren Earl Leas, 72, a retired farmer and resident of the community west of Ashley since 1929, died at 2:15 a.m. Tuesday in the D. Bonnell M. Souder Hospital, Auburn. On Monday, July 30, Mr. Leas was stricken with a stroke and fell suffering a broken neck. He was stricken at his home and the following day was brought to the hospital in Auburn. Mr. Leas apparently had been in good health preceding the stroke. Three weeks ago, he returned to his home about three-quarters of a mile west of Ashley after spending the winter at his winter home in Plant City, Fla. 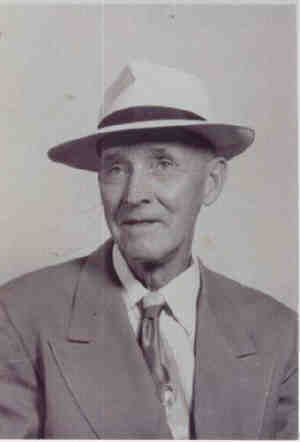 He was the father of Lyle Leas of 326 East Ninth Street, Auburn. The body was removed to the Swank funeral home in Ashley and will remain until it is taken at 11:30 a.m. Thursday to the St. John's Evangelical & Reformed church west of Ashley. The body will lie in state until final rites are conducted at 2 p.m. Thursday. Burial will be in Circle Cemetery west of Hudson. Mr. Leas was born Dec 17, 1883 in Salem township, Steuben county, son of the late John Timothy Leas and Mollie Norman Leas. He married Leola Spangler 47 years ago. Surviving, beside the widow and son in Auburn, are a daughter, Mrs. Phyllis Knight of San Fernando, Calif., six other sons, Lawrence of Guntersville, Ala., Eugene of west of Ashley, Arnold Marcel of Ashland, Ky., Robert of Fort Wayne, Rex of Plant City, Fla. and Vance of Ashley, a sister, Mrs. Otho Glasgow of Helmer and 23 grandchildren. A daughter, Mrs. Latriealle Reinoehl, a resident of Fairfield township, DeKalb county, died eight years ago. Also preceding him in death were two brothers, Ward Leas and Freeman Leas. • Residence: US Census, 1900, Hudson, Salem Township, Steuben County, Indiana, USA. • Residence: US Census, 1930, Smithfield Township, Dekalb County, Indiana, USA. 2 LDS Family Group Record.